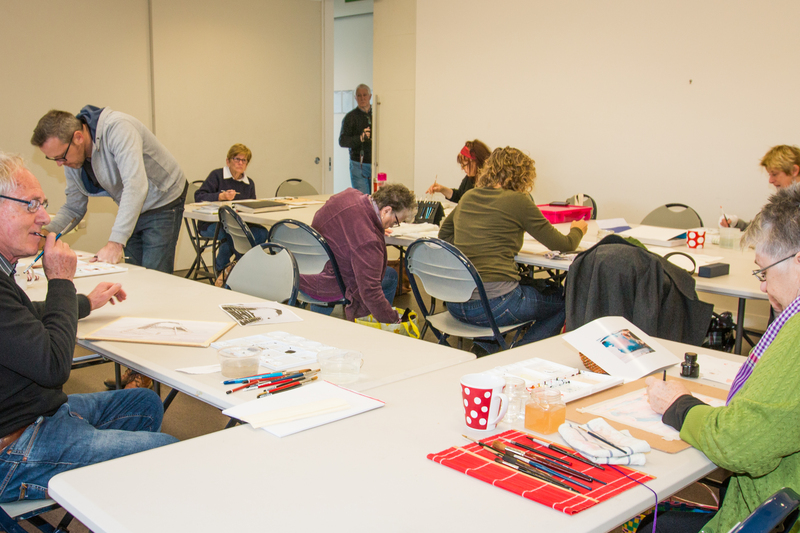 Louis Joel Arts & Community currently provides venue hire for a range of diverse activities that includes art classes for children and adults. Organisations who hire venue space include Hobsons Bay Chess Club, Hobsons Bay Arts Society, the CWA, U3A, Dramaworkz, church services and sewing groups amongst others as well as private and business functions. Venue hire is available for meetings, small parties, cultural events, special occasions, launches and classes. The venue has a whiteboard, audio visual equipment, audio equipment, seating for 50 people and 14 trestle style tables. A kitchen to support light catering including tea/coffee making facilities is also available. The centre has a monitored security alarm and is air conditioned. Please contact the Centre on 9398 2511 for costs and availability.